Well it’s been a fun week. I’m almost as tired of posting canning recipes as I was from canning the foods themselves. But I hope that you’ll find all of it useful and with Annalise, Kelley and I all pitching in recipes, I’m sure you at least found one to try! 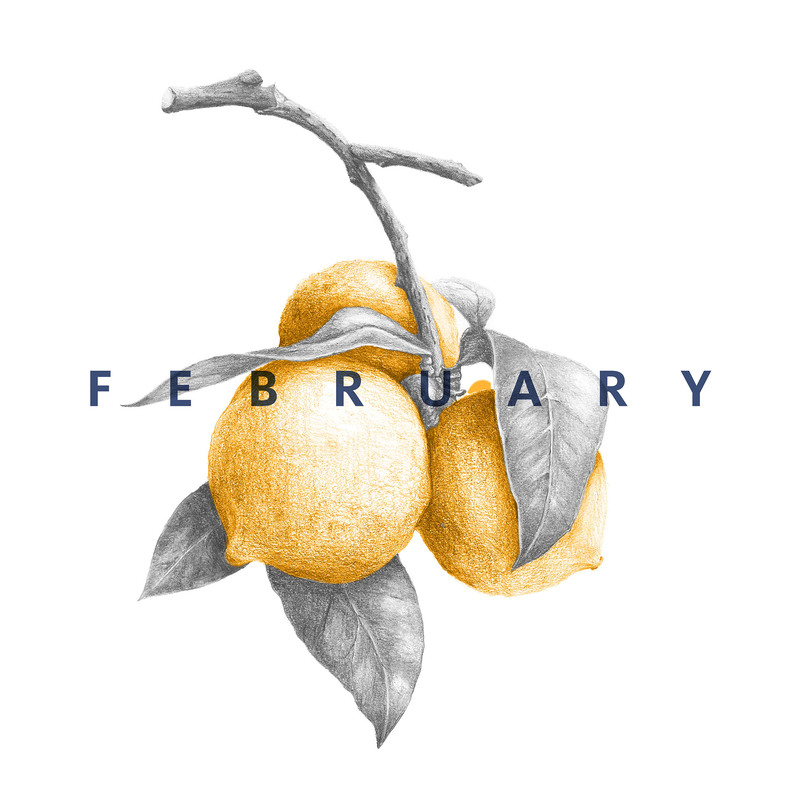 And please don’t hesitate to check back in with any questions once you’ve taken the plunge to buy jars and gather fruit! My last recipe is for a homemade shrub. This is not a recipe that is processed in a canning bath but instead it is preserved with vinegar and stored in the refrigerator. I first learned what a shrub was from my bar tending friend who delivered a Apricot Shrub Cocktail to my table and I joyfully obliged. 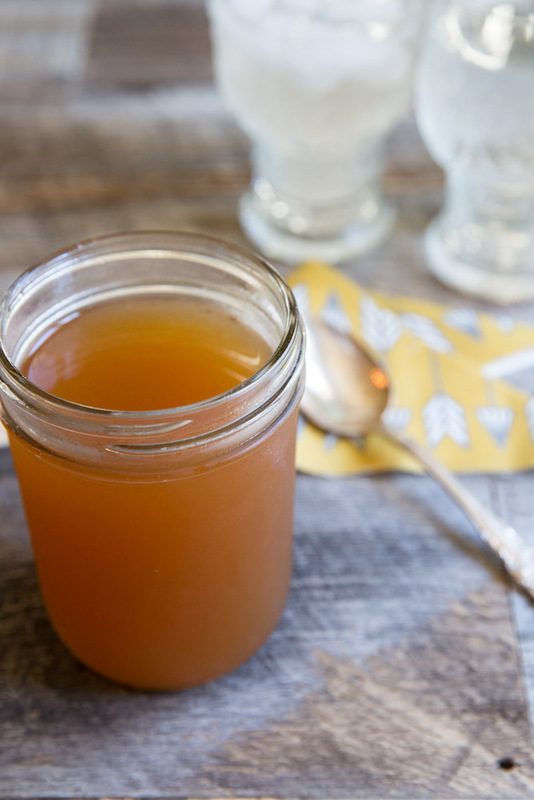 Basically, it is a was to preserve fruit in a simple syrup with vinegar (I use apple cider vinegar) which you can then use in cocktails or homemade sodas. I’m including my simple apricot shrub soda recipe at the bottom but feel free to add a few spoonfuls of whisky if you want a boozy treat. Remember, you don’t have to can everything. 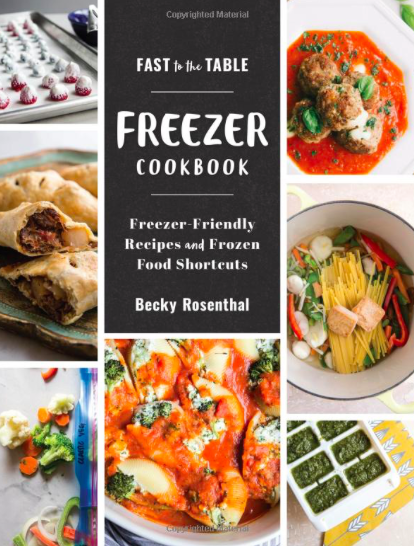 You can also preserve by freezing and refrigerating. Make summer flavors last longer in whatever form you’re most comfortable with! Make freezer jam like this refrigerator peach jam I made a few years back, or these refrigerator pickles, or try a shrub like this one. Start simple and easy. Anything that you take the time to preserve will be a joy to open come winter time! 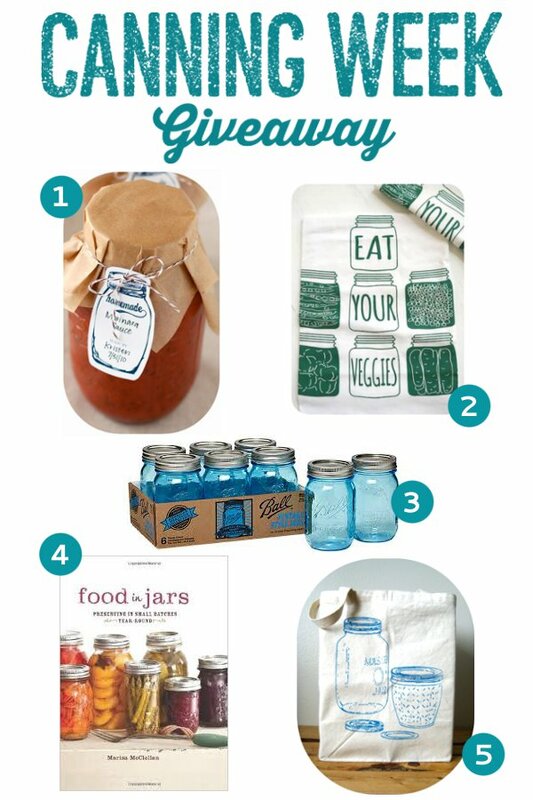 Don’t forget to enter our big canning pack giveaway! 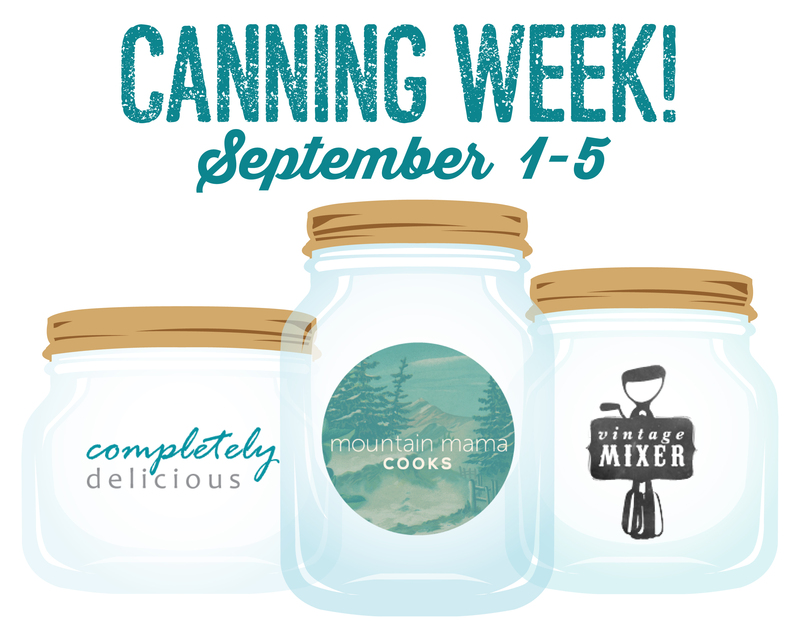 Enter on my first canning post of the week and a winner will be announced tomorrow. 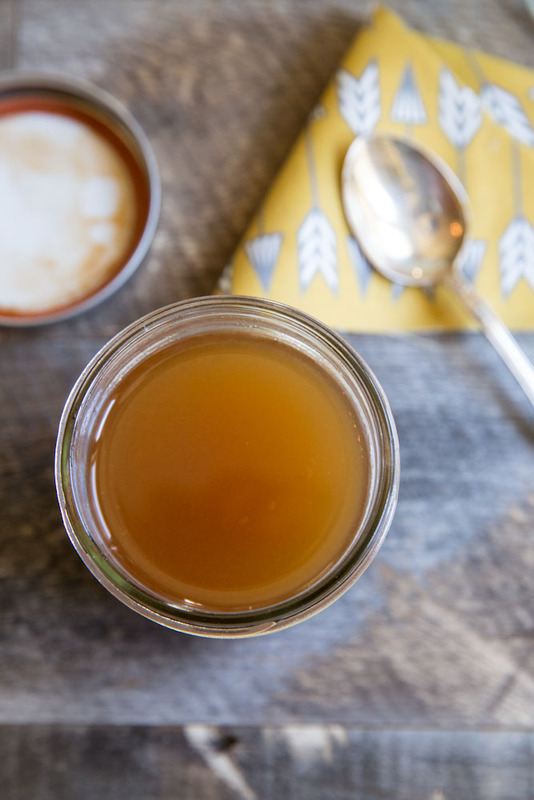 Make your own homemade apricot sodas or cocktails using this recipe for homemade shrubs. Wash the container in hot, soapy water and rinse thoroughly. Submerge in a pot of warm water to cover by 1 to 2 inches, bring to a boil, and boil for 10 minutes. For the lid or cap, wash it in hot, soapy water, rinse well, and scald in boiling water. Carefully remove the jar from the pot using canning jar lifters or tongs. Place the fruit in the jar. Place the vinegar in a saucepan and heat to just below the boiling point, or at least 190°F. Pour the vinegar over the fruit, leaving at least 1/4-inch headspace. Wipe the rim with a clean, damp cloth, and cap tightly. Let the jar cool undisturbed and then store it in a cool, dark place such as a cupboard or the refrigerator. Let it stand at least 24 hours and up to 4 weeks until the desired flavor is reached. Strain it through a damp cheesecloth or coffee filter one or more times until the vinegar shows no cloudiness. Discard the fruit or save it for another purpose (it's often delicious for use in chutneys). Place the vinegar and sugar in a saucepan. Bring to a boil, stirring to dissolve sugar. Remove from heat and let cool. Pour into a clean, sterilized container (use the original mason jar or other bottles; see step 1 for sterilization procedure) and cap tightly. Store the shrub syrup in the refrigerator. Tightly sealed, it may last for up to 6 months. Taste before using to make sure the flavor is still good. Discard immediately if it has mold or any signs of fermentation such as bubbling, cloudiness, or sliminess. To serve, mix 1 tablespoon shrub syrup into a glass of still or sparkling water. Taste and add more syrup, if desired. Shrub syrups may also be used as cocktail mixers, in salad dressings, and more. 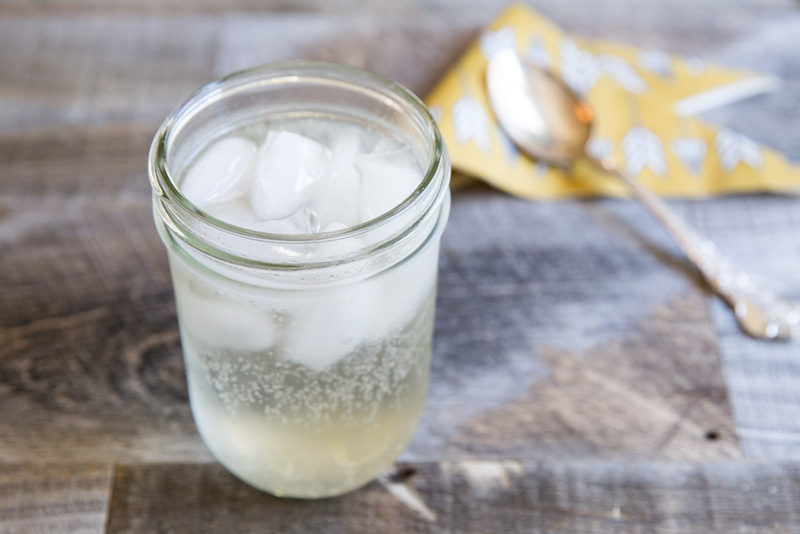 Make homemade soda with apricot shrub and sparkling water. Fill an 8 ounce glass with ice pour sparkling water almost to the top. Then add in 1 tablespoon of the apricot shrub. Stir and enjoy! 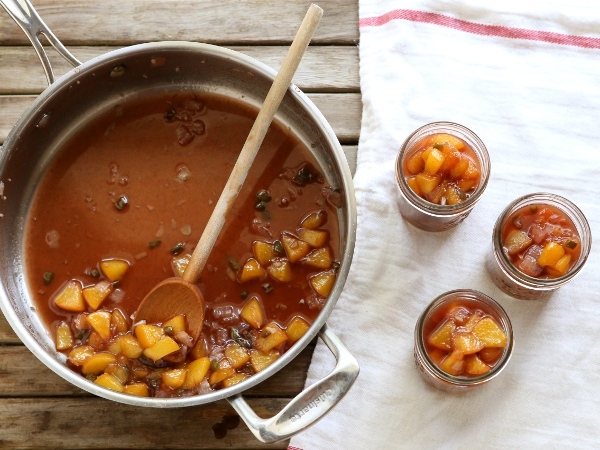 Make sure to visit CompletelyDelicious.com for a week filled with more recipes like this Peach Jalepeno Chutney. And you can’t miss all of the recipes Kelley posted at Mountain Mama Cooks. 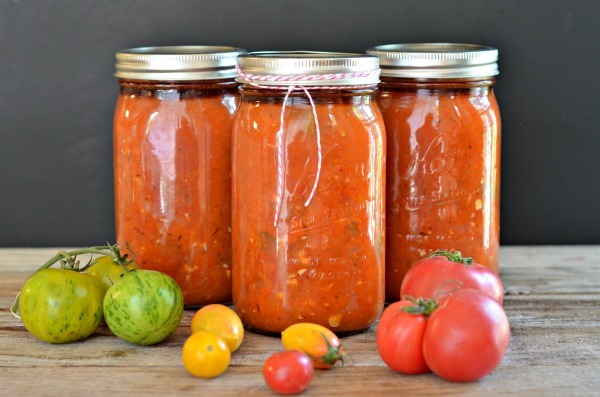 Here’s her final recipe for Heirloom Tomato Sauce.